I don’t think there are many girls around who can combine ball-busting and beatdown sessions with such skill and precision as Araneae! I’m a strong bloke and can take a fair amount of punishment. 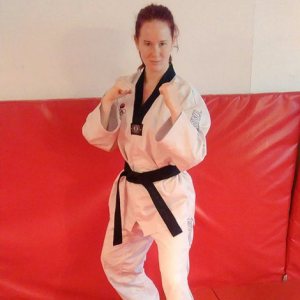 But this beautiful girl is a deceptively powerful martial artist with a pair of the quickest legs and feet in the business. Araneae is effortless. She never seems to be putting a great deal of effort in but then:POW! her foot connects with my balls and I’m screaming in agony and doubled up in pain! To make things interesting, I challenged her to show me how effective her kicks were away from my privates. This meant kicking me in the sides, in the stomach and in the chest. Best of all, she got me in the face too. Each time, it felt like I was being hit by a weapon! I’ve had sessions with other girls who are bigger and look stronger but not many have brought tears to my eyes so quickly. I even got a taste of her scissors and left in no doubt how strong those toned legs are. I thought she was going to crush my torso at one point, such was the vice-like grip her legs held me in. It all hurt a lot but I loved it. Pain never felt so good.